Where’s the coffee table book on castles ? A group I can believe in! 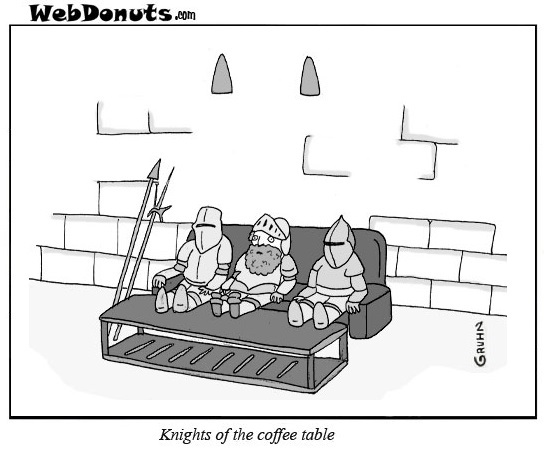 Fewer Knights than the round, but they are more comfortable. LOLZ Is that one in the middle wearing Christmas socks? Considering the previous comic as well as this one you obviously got a good deal on Armour Rental Mike. I wonder how many nights they spent there? I’m really enjoying your strip.